Some drugs which are not aimed at treating heart disease have nevertheless been found to have profound effects on heart muscle. 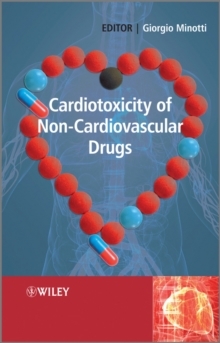 Cardiotoxicity is one of the major forms of toxicity seen in drugs and it accounts for most drug recalls and delays experienced in regulatory approvals.In recent years a number of non-cardiac blockbuster drugs such as terfenadine have been withdrawn from major markets because of cardiotoxicity concerns, while other drugs have either been withdrawn prior to marketing or required labelling changes that significantly restricted their use. In Cardiotoxicity of Non-Cardiovascular Drugs international experts describe the molecular mechanisms and clinical read-outs of cardiac events induced by a broad variety of noncardiovascular drugs. Particular emphasis is paid to the preclinical screening of drug cardiotoxicity. Topics include: * metabolic targets of cardiotoxicity * regulatory aspects * translating molecular mechanisms into clinical trials * structure-activity relationships in arrhythmias by antihistamines and psychoactive drugs * cardiovascular toxicity of antitumor drugs * cardiovascular toxicities of non-steroidal anti-inflammatory drugs * cardiovascular toxicities of antiretroviral therapies Cardiotoxicity of Non-Cardiovascular Drugs is an essential guide to this important area of drug development. It will find a place on the bookshelves of researchers, regulators and students in medicinal chemistry, drug development, pharmacology, pharmacy and cardiovascular disease.